“Rijeka in Flux” is an interdisciplinary research project, combining history, geography, and digital humanities, that seeks to analyze urban change in Rijeka after the Second World War, when it changed sovereignty from Italy to Yugoslavia. Applications will be accepted starting October 15, 2018, and are due at the latest on January 15, 2019. Applications can be submitted here. The objective of the project is to better understand the impact of the caesura of 1945 on the city, which included border changes as well as the imposition of a new political, ideological and economic system. That knowledge will be projected onto an interactive online map (completed in phase I of the project) and mobile phone app (to be created as part of current phase). Scholars involved in the project are pursuing inquiries into different aspects of urban life in Rijeka, including the relations between the Italian minority and the new authorities and population; the flows of goods, capital, people and information in and out of the city; and urban planning, architecture and memorialization. Scholars employ diverse methodologies, including archival research, oral history, and participant observation. Participating scholars will be sharing the results of their research on an interactive crowd‐sourced map. research endeavor. 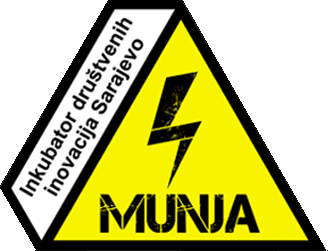 In the Rijeka in Flux project Jon’s role is to contribute to the design, deployment and evaluation of the technical components of proposed research, especially the programming required for the development of the augmented reality application. We are looking for self‐motivated students who are interested in participating in an exciting collaborative, interdisciplinary project at the intersection of history, geography and the digital humanities, with participants from universities, research institutes, and NGOs located in Canada, Croatia, and Italy. We will accept applications from students with backgrounds in history, geography, cultural studies, computer science, and related disciplines. Students should conceptualize a thesis/dissertation project that will draw on and contribute to the overall project research agenda. Prospective applicants should read the project description above and contact project leaders at [email protected] and [email protected] for more information. The M.A. student will be offered $35,456 over 21 months (Sep. 2019‐May 2021), and the Ph.D. student will be offered $73,807 over 33 months (Sep. 2019‐May 2022). Renewal of fellowships every year are contingent on satisfactory progress. Students are expected to apply for SSHRC graduate scholarships, if eligible, in their first year. More information about project on link.